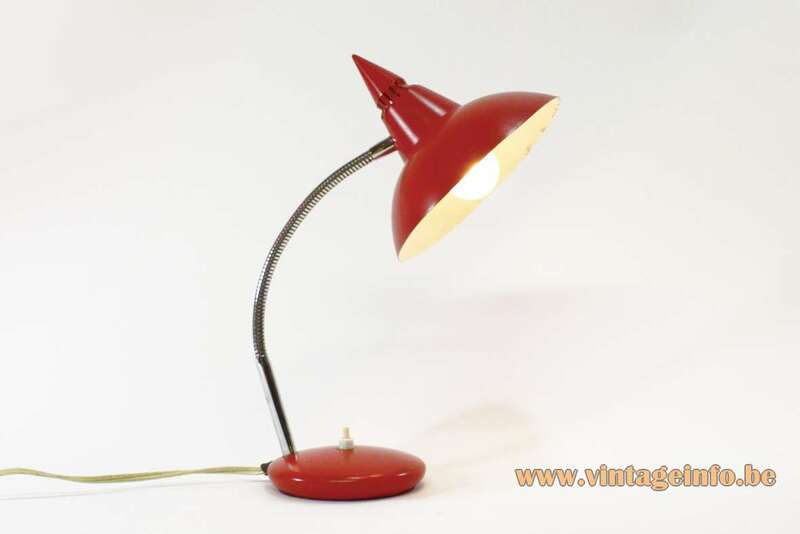 Materials: Red painted perforated metal (iron) lampshade, white painted inside. Iron chromed goose-neck. 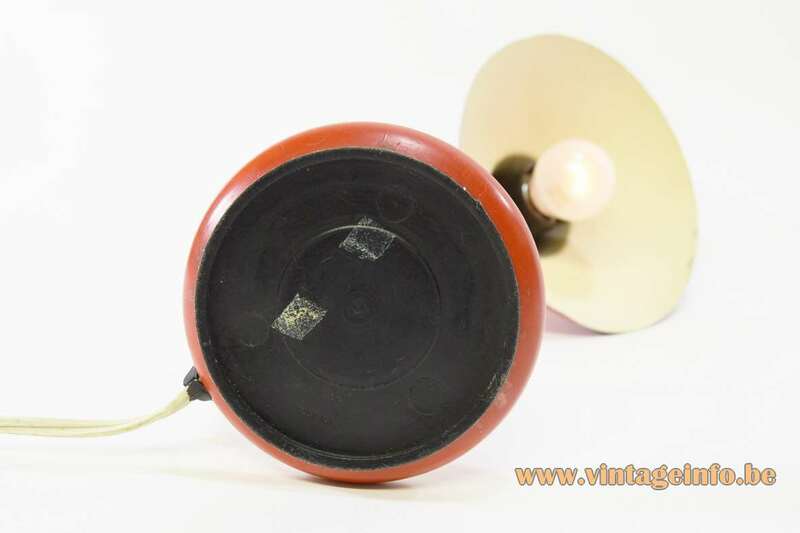 Red painted base with a black plastic bottom. Bakelite socket. Other versions: In all probability produced in several colours. 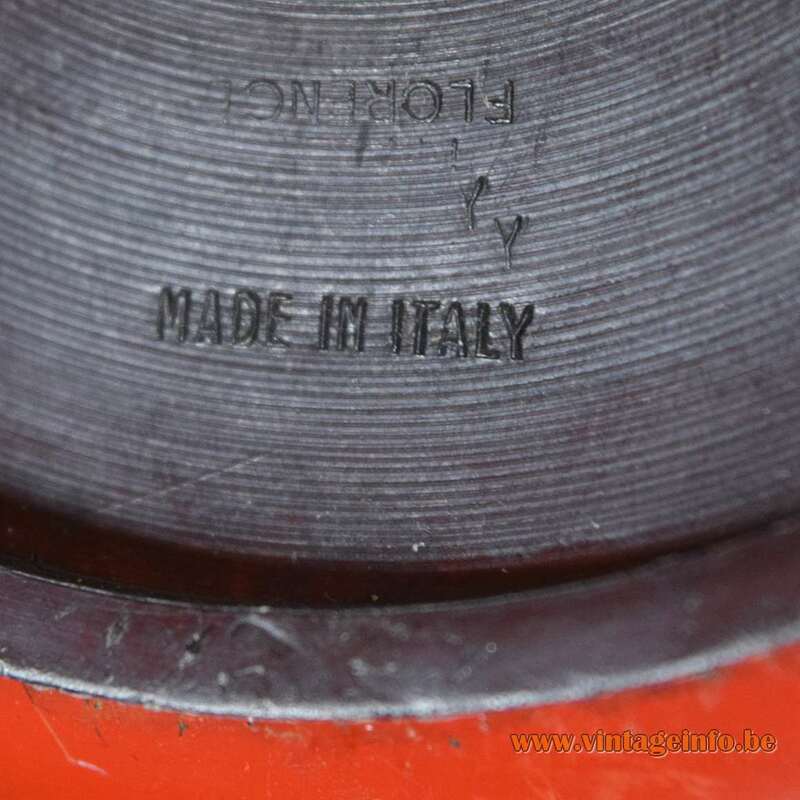 In the black plastic bottom is moulded “made in Italy” and “Florence”, written up side down. 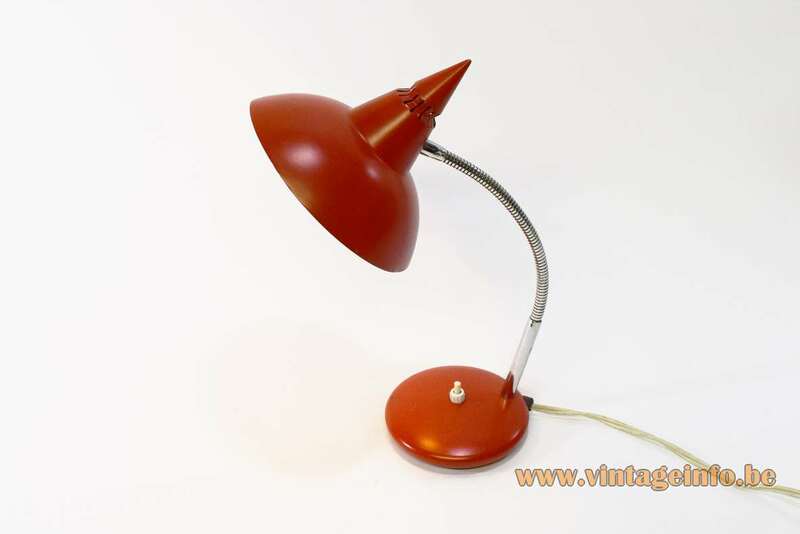 The most well known light company from Florence is Targetti Sankey. Some other producers are/were: Masca, Febo Light, Banci, Palma, Patrizia Garganti, AEC Illuminazione and many others. 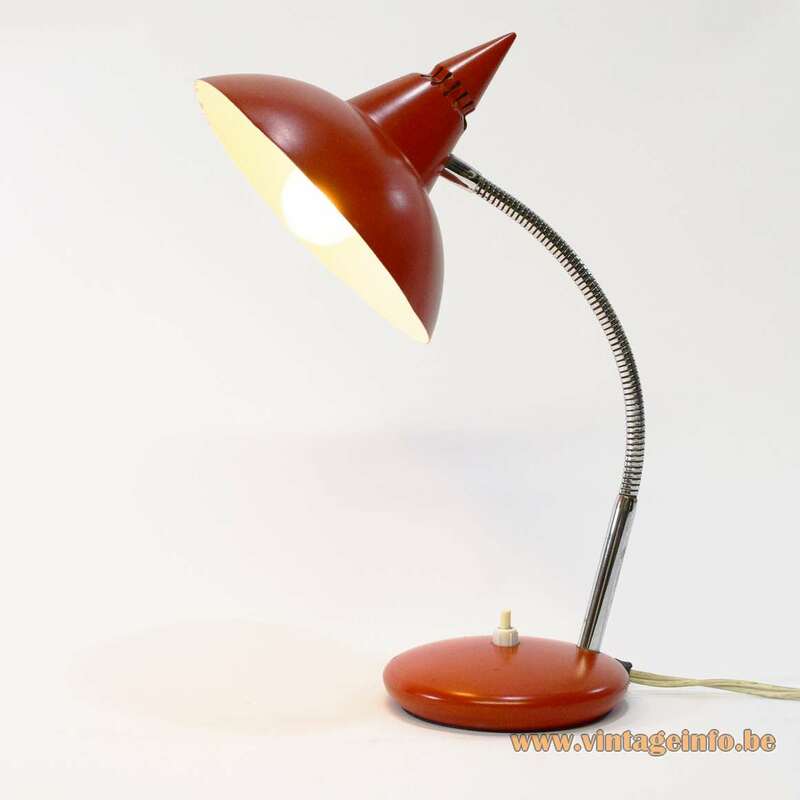 In Europe these lamps were sold by Massive from Belgium, in the United Kingdom by BHS. Prova was a house label for British Home Stores (BHS). Not only lamps exist with this label, also clothing. There is no label present on this one. 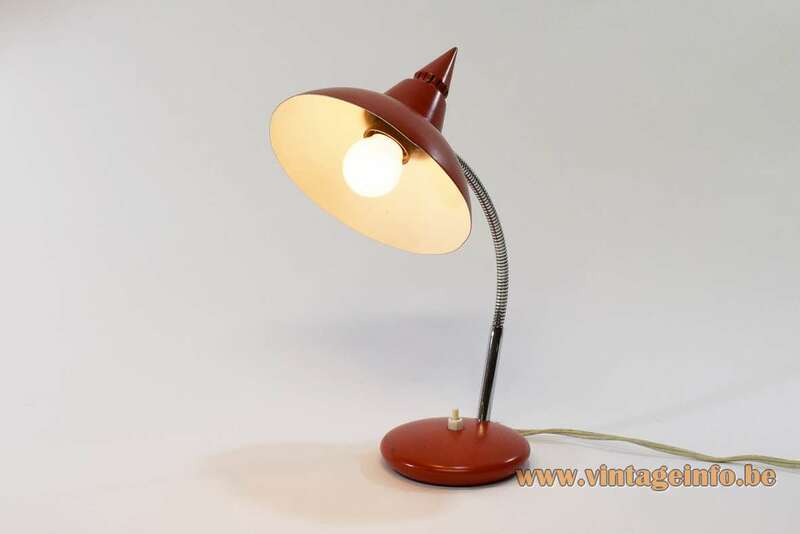 In all probability these lamps were produced by an anonymous Italian mass producing company, maybe owned by Massive from Belgium. The company was located in Florence, Italy. Sometimes you find them labeled with “Made in Florence, Italy” or “Made in Italy“. British Home Stores was a British department store chain, primarily selling clothing and household items. 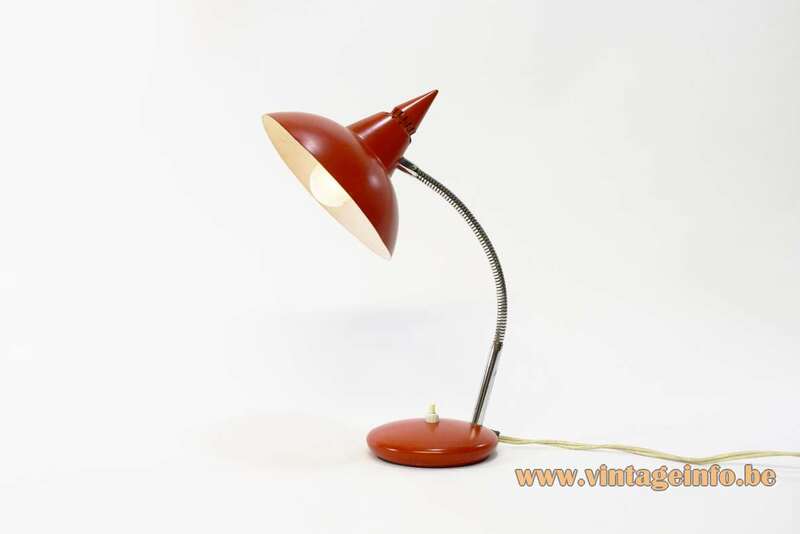 The company was founded in 1928. The company went bankrupt in 2016. The Qatari Al Mana Group purchased BHS and formed a new business, BHS International (UK) Limited, based in London. It launched a new website: bhs.com. 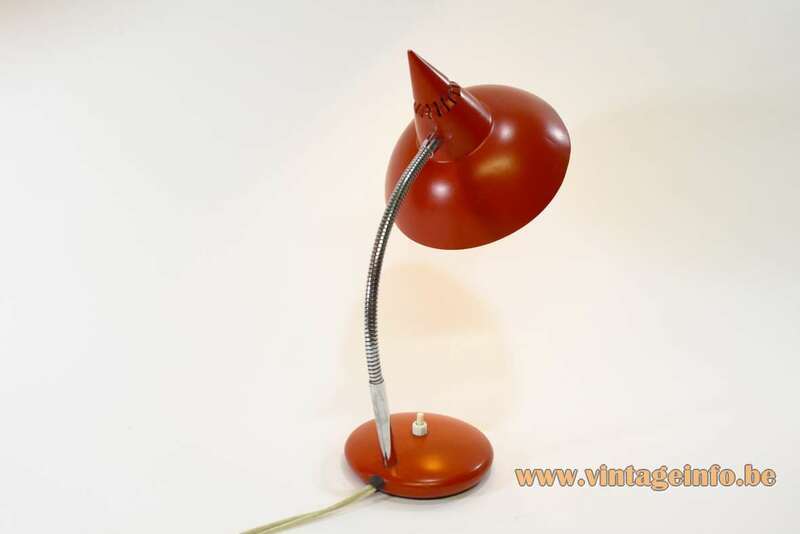 The electric parts of this desk lamp are made by the Italian VLM Components company in the 1960s. VLM Components is located in Buccinasco, near Milan. 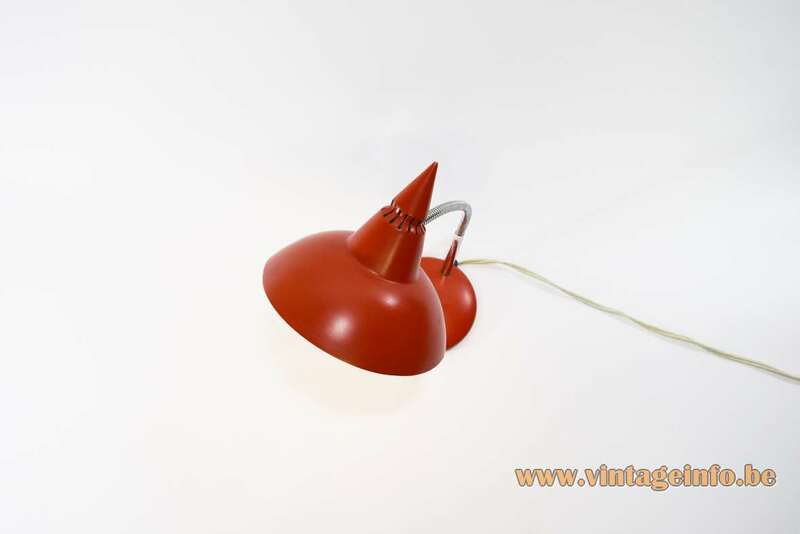 The company is famous for the switches they produced that are designed by Achille Castigilioni in 1968.